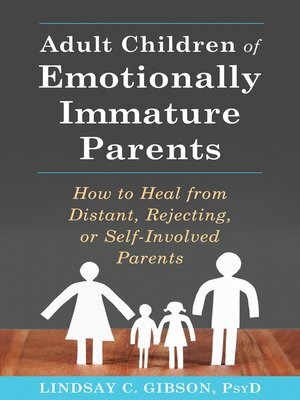 If you grew up with an emotionally immature, unavailable, or selfish parent, you may have lingering feelings of anger, loneliness, betrayal, or abandonment. You may recall your childhood as a time when your emotional needs were not met, when your feelings were dismissed, or when you took on adult levels of responsibility in an effort to compensate for your parent's behavior. These wounds can be healed, and you can move forward in your life.